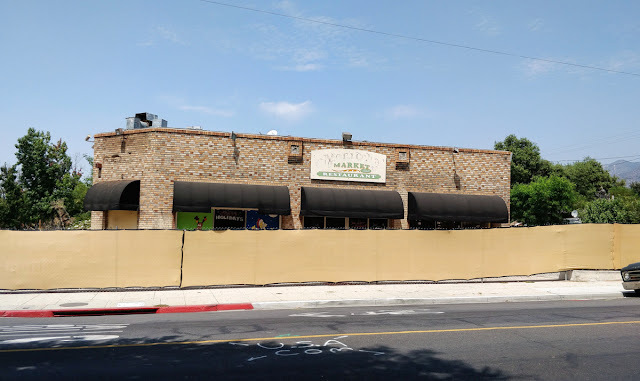 I've been taking some photo road trips recently along the old Route 66 in San Bernardino, the Mojave, and parts of Arizona, but we have some wonderful, and photogenic, examples of our Route 66 history right here in Monrovia. 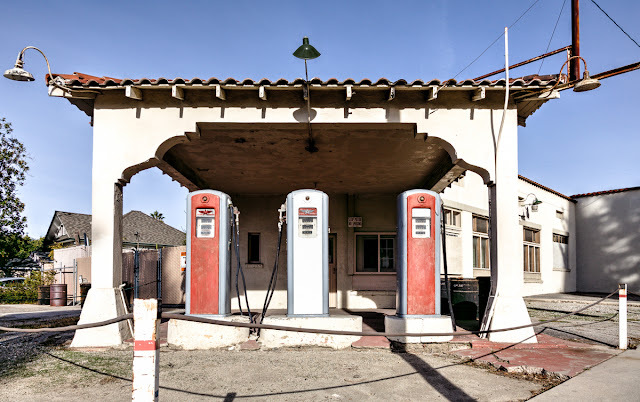 This service station is located along the original 1926 alignment of Route 66 through Monrovia at the corner of Shamrock and Walnut Avenues. 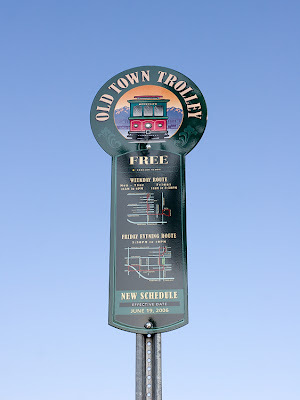 The original alignment went north on Shamrock Avenue from Huntington Drive to Foothill Blvd. Later, sometime in the 1930's, the alignment bypassed Shamrock and Foothill and just continued west along Huntington Drive. 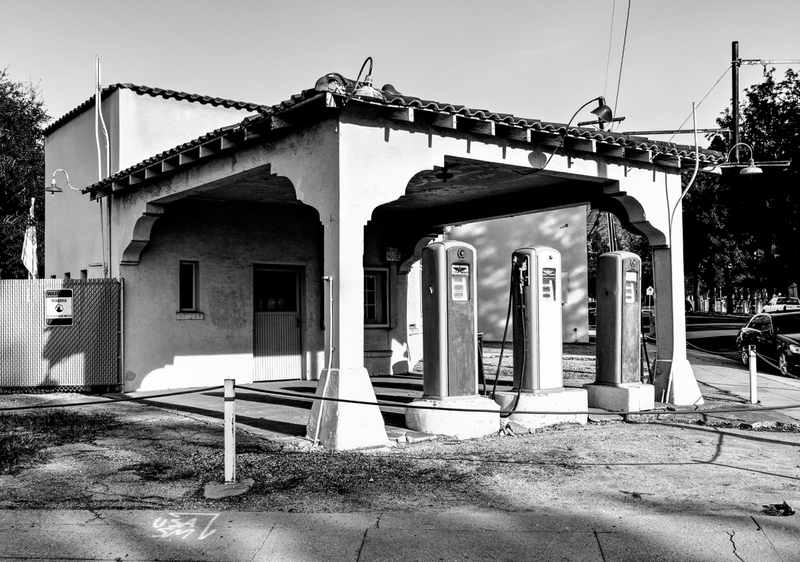 The property is privately owned, and it hasn't been a functioning gas station for many years, but the building and Flying A pumps still provide a glimpse into the past and a great photo op. My grandmother grew up at a service station very similar to this in Minnesota. Her father worked for Standard Oil and her mother made pies to sell at the store. The main road/highway has since been rerouted and the station was demolished. All that is left is a cement pad where the pumps used to be on the corner of two roads that used to be busy. I'm so glad that this little station around the corner from us hasn't been knocked down. It reminds me of her past in a little way.